* * Dave's Want List * *Always Buying!! We pay top $$ Dollar $$ for vintage sports cards!! Some items of interest, but see the table below for a more complete list with details. 19th Century: and more pre 1900 etc. Pre WWII, Goudeys, Play Ball, Diamond Stars, Delongs, etc. Tobacco cards, Caramels, Dockmans, Coupons, Kotton, Mino, Hindu, Lenox, Drum, Uzit. If it is old and fabulous, I am a buyer. Under certain situations I will consider taking consignments. 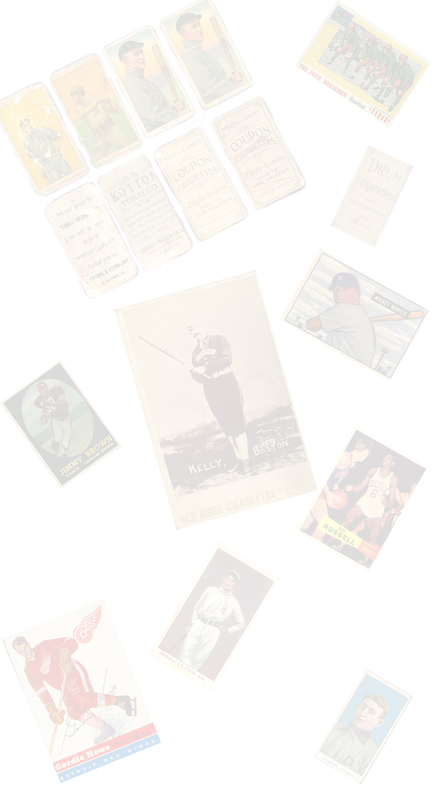 We can not quote prices for cards we are interested in sight unseen. There are several factors, mostly condition that must be taken into consideration to determine value. I will say this, we pay as much as anyone for the quality cards that we deal in. We will buy large collections, and pay according to content and condition, taking into consideration the demand for the items you have to sell. In most cases, we offer more than most dealers, and we are not afraid to match prices. Please forward lists of your inventory, along with the condition of the cards, or other material that you have. If you can provide images that is also very helpful. I will also do trades in certain circumstances. Not all the time, depends on what you have, and what you want. Please email us at gfg@gfg.com , and let us know what you have.